Forged wheels are strong, dense, yet very light wheel that high performance car enthusiasts use for their cars almost exclusively. 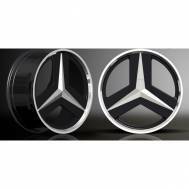 The term “forged” refers to making an alloy wheel by forcing a raw block of metal into a shape with extreme pressure. Forging is an expensive, multi-stepped process. 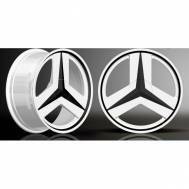 Most of the alloy wheels on the market are one-piece cast wheels, not forged wheels. The difference between the two processes is that casting involves placing liquefied aluminum into a mold. As the aluminum cools, it is formed into a wheel. There are several different ways to accomplish this, including gravity casting and low-pressure casting. 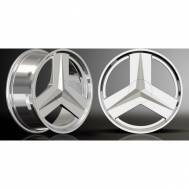 The main benefit of forged wheels over cast wheels is the weight. To understand the benefits of lighter wheels, it is necessary to understand the differences between “sprung weight” and “unsprung weight” in relation to your vehicle. Sprung weight is supported by the suspension, including the transmission, Engine and chassis. On the other hand, unsprung weight refers to everything else, including the suspension system and the components attached to it. Surface imperfections in the roads place force on unsprung weight, which then reacts with its own movement. The less unsprung weight in a vehicle, the less it is affected by the road and other outside forces. Reducing unsprung weight increases vehicle performance and the easiest place to do that is in the wheels of the vehicle. The vehicle handling and maneuverability is increased, including faster braking and acceleration times. Lighter wheels will also cut back on the wear and tear of the vehicle’s tires, as well as increase the vehicle’s fuel efficiency. Since forged wheels are significantly lighter than most cast wheels, all of these benefits can be achieved by replacing cast wheels. Forged wheels also have other benefits. They sport a higher density of grain structure than cast wheels. Cast wheels tend to be more porous than forged ones. This means that a forged wheel will hold a polished shine longer than a similarly polished cast wheel. They are also up to 300 times stronger than cast wheels and can take more damage while lasting for a longer time.